Screens with The Equal Justice Initiative, The History of White People and Shelbyville Says NO! 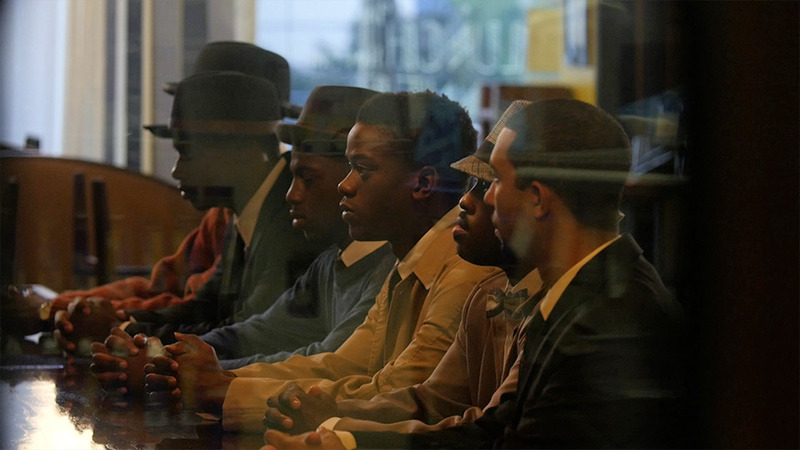 Nine young black men exercise their power to change history. It’s 1961 and the Civil Rights movement is stalled with protests, arrests, bailouts and then a return to life as usual in the segregated South. Students at a small Baptist College in Rock Hill, SC decide to sit in at their local lunch counter, get arrested, go to jail and stay there. It’s a test case that brings national attention to the movement and changes strategy. A little-known story in a well-chronicled history, Counter Histories: Rock Hill breaks with documentary conventions to connect with a new audience and tie the historical movement to present day struggles.